An elemental diet involves a liquid shake comprised of fully digestible, free-form amino acids (protein), fats, and a simple carbohydrate. It is also used to deliver nutrition via tube feeding. Although elemental diets appear to have high sugar content, it is necessary to match up with daily energy needs. Elemental powders may also contain added medium chain fats to boost calorie content. Elemental diet powders are comprised of components already in their simplest digestible or "elemental" forms - giving the gastrointestinal system a rest and avoiding issues with digestion, absorption, allergens, and other residues that are created through the process of digestion. After a person's energy requirements are identified, 150-200 calorie shakes are divided throughout the day every 2-3 hours. It is best to sip the elemental powder drink over 15-30 minutes to limit feelings of hunger and reduce the potential for diarrhea from high intake of fluids in too short of a time period. Typically a person drinks an elemental powder shake as their exclusive source of calories for up to 14 days; sometimes longer periods are necessary. Calorie needs are calculated based on body size and basal metabolic rate. The amount of shakes needed to meet caloric requirements will differ person by person. Elemental diets lasting longer than four weeks should be monitored medically. Some practitioners also use an elemental diet as a three to five day "reset" to give the gastrointestinal system a break and jump-start gut healing. Because the elemental compounds are absorbed so readily, there is nothing for bacteria to "feed on" later in the GI tract, which helps rid the gut of unwanted organisms. Elemental diets are conventionally used to promote remission for Crohn's disease, and replenish nutrient deficiencies in inflammatory gut disorders. Increasingly, elemental diets are being recognized for their ability to support the re-balancing of gut flora. When Would I use an Elemental Diet? 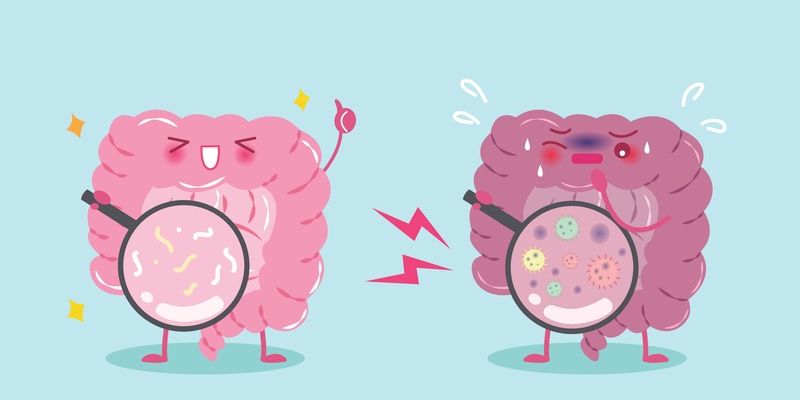 Irritable and inflammatory bowel syndromes (IBS and IBD) share similar features including inflammation, immune activation, leaky gut, and imbalances in gut flora. IBS and IBD are both helped by elemental diets. IBS associated with imbalance of gut flora, with SIBO often present (https://www.ncbi.nlm.nih.gov/pubmed/15316000; https://www.ncbi.nlm.nih.gov/pubmed/22262197). Removal of SIBO is associated with 75% reduction of symptoms in IBS patients (https://www.ncbi.nlm.nih.gov/pubmed/12591062). Small intestinal bowel overgrowth or SIBO is one manifestation of a flora imbalance. SIBO is when intestinal flora from the large bowel migrate into the small bowel. These flora are not intended in the small bowel and start fermenting food components much earlier than intended by the body. As they begin fermenting foods in the upper GI, it causes significant bloating and discomfort - as well as other symptoms. The flora remains there until treated as the body does not have normal protective mechanisms to deal with overgrowth in the small bowel. While some of the strains may be otherwise healthy, you still need to starve or kill the bacteria to re-establish the divisions of bacteria normally present in the small bowel versus the large bowel. Motility and physical digestion are also important. Normal motility will push food to the large bowel sooner so that the food components are broken down later in the large bowel, not earlier in the small bowel. Poor motility and undigested food has food components sticking around too long in the small intestine - inviting action by bacteria and yeast. Allergenic, sensitive, and intolerant foods add insult to injury with direct and indirect inflammation, leaky gut, and digestive strain. Since bacteria use these breakdown byproducts for their own fuel - poor motility promotes overgrowth of flora in the upper GI - creating SIBO. Symptoms of SIBO include bloating, gas, burping, abdominal discomfort, constipation and/or diarrhea, heartburn, nausea, headache, tiredness, skin conditions, fatty stools, and symptoms associated with poor absorption of certain nutrients like vitamin D, iron, vitamin K, or Vitamin B12 to name a few. SIBO can also be involved in low thyroid activity, food intolerance (ex. lactose), gallstones, Crohn's, scleroderma, celiac disease, pancreatitis, diverticulitis, diabetes, fibromyalgia, non-alcoholic fatty liver, kidney and bladder inflammation (interstitial cystitis), restless leg syndrome, acne, rosacea, esophageal inflammation, lymphocytic colitis and gall bladder motility disorders (see references). Anxiety and depression disorders may also respond to the re-balancing of gut flora which is amazing because 30-40% will not respond to medication alone. While prescription and/or herbal antibiotics are used to help rid SIBO, an 14-day elemental diet is also useful. You do not need to have IBS, IBD, or SIBO to benefit from an elemental diet. You may just have mild symptoms from the lists above. An elemental diet starves bacteria of fuel and gives the digestive system a break from allergies/sensitivities, enzyme deficiencies, irritation, and just plain overwork. It also improves intestinal motility, critically important to reduce overgrowth of bad bugs (or healthy bugs in the wrong place). Improved motility gives bacteria less time to ferment fibers and starches in the small bowel, making sure the breakdown happens in the more bacteria-rich large intestine. An elemental diet has a dual-benefit of increasing motility - while also not providing the complex fibers and starches that bacteria feed on. Nutrition prior or post to gastrointestinal surgery. Help calm an inflamed esophagus whose tissue is infiltrated with immune cells (eosinophilic esophagitis) - common with reflux, Barrett's esophagus and general digestive concerns. May help support joint and skin disorders like rheumatoid arthritis, eczema and dermatitits herpetiformis. Address coexisting SIBO or other imbalances further upstream in the gut when someone has ulcerative colitis. 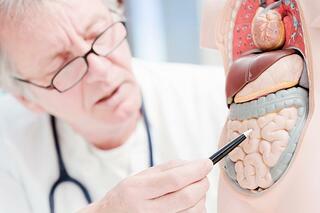 Ulcerative colitis on its own is less responsive. Maintain positive intestinal changes by partially substituting your food with elemental powder shakes while you make advanced dietary changes. Elemental diets have been limited in the past by poor taste and high cost. I now use Physician's Elemental Diet Powder from Integrative Therapeutics (search for it on our shop & keep in mind that elemental diets should be professionally managed). It is an absolute game-changer for the industry. It is pleasant tasting compared to the Vivonex & Vivonex Plus powders used predominantly in medical settings. I've tried Vivonex Plus & I personally just couldn't muster the effort to complete a 3 or 5 day reset. I have a pretty flexible palate & I still just couldn't do it. I was also very motivated at the time - I was having panic attacks and digestive distress which I later found to be related to mold & metal toxicity! The taste was still a deterrent for me. This is how I came across the links of flora imbalance with anxiety, and how an elemental diet could be an option - even at just a 3-5 day reset - so I am glad there's now an alternative available without experimenting with your own homemade blend. It doesn't mean you still couldn't use conventional powders if it means insurance coverage or following another professional's opinion. I prefer the phenomenal taste and ingredients sourcing of Integrative Therapeutics' Physician's Elemental Diet powder. Aim for the Dextrose-Free version as it minimizes chances of inviting yeast growth later in a 14-day protocol. I felt great on the two days I did make it on Vivonex, and so I was thrilled when the new powder was launched. Poor taste no longer has to be a factor as to whether you try an elemental diet or not! While cost can still be an issue, compare the costs of an elemental diet with months of specialist appointments, scans, scopes, loss of work, chronic discomfort, and noncompliance with other powders that taste nasty - and it may be the cheapest option for you long-term. So, you decided that you are a candidate for an elemental diet, great! First, let me review some concerns of an elemental diet as it may not be for everyone. It is a therapeutic diet and therefore is not something to consider lightly. I will then give a run-down what to expect during and after an elemental diet protocol. First, this is a therapeutic diet. As you read along, you will recognize the subtle, yet important considerations involved with this kind of diet plan. It involves supplements, specific food plans, and careful timing considerations of when to move to next steps. It also doesn't have to as some individuals may respond to just an elemental protocol on its own. It also comes with a financial investment and you want to make sure you do things right the first time. My job is to give you the full scope so that you can make individual decisions as to how far you want to take your protocol. You need to know when to move forward, when to retreat back, and when to just ease forward a little slower. A professional can help you make these distinctions. Diabetics may need to carefully consider elemental diets as an elemental diet can put strain on our body's ability to regulate blood sugar naturally. As we're not eating as much food, our adrenals need to kick in to regulate blood sugar and they could be a little tapped to start. It is possible that Fungal disorders may worsen while on an elemental diet for any extended period as the diets are high in simple carbohydrates. I like to provide anti-fungal support alongside an elemental diet protocol in most cases anyway. Monolaurin, proteolytic enzymes, soil-based organisms, and other strategies may be used to support fungal overgrowth (and help rid unwanted bacterial overgrowth too). While decisions are case-by-case, and substitutions not always necessary, you can mitigate fungal or blood sugar concerns by using Integrative Therapeutic's "dextrose-free" powder. Those with eating disorders should also generally avoid elemental diets unless professionally recommended/supervised. Sometimes bad microbes will hide themselves in "biofilm" - a matrix-like living environment that microbes produce to defend themselves from our immune system as well as outside agents. Monolaurin and enzymes mentioned above can help break down biofilm so that your other strategies work better! Hospitalized patients are at risk for Clostridium difficile infection. Hospitalized patients may also be candidates for elemental diets by either shakes or tube feeding. So could an elemental diet increase risk of C. diff? The answer is that any associative risk is in the hospital environment and past/present antibiotic usage, not the elemental diet itself. If you have an independent concern regarding C. diff from current hospitalization, antibiotic usage, or past diagnosis of C. diff, then separately consider monolaurin, soil-based organisms, and other strategies to help prevent occurrence and recurrence of C. diff infection. A 14-day elemental diet can help with IBS symptoms and abnormal breath test. Some practitioners then recommend a tapering down off the elemental diets as a normal diet is reintroduced on day 15 and beyond. The tapering can be essential to prevent signs and symptoms from coming back. Tapering can include a partial elemental diet (50% of calorie needs) while you add back normal foods. Specific diet plans may be recommended such as Specific Carbohydrate Diet, Low-FodMAP diet, and eventually a transition to a plant-rich, Paleo-style diet. Think of 3-5 day plans as just a short-term detox. You may not get the full reset you're looking for when it comes to more advanced gut imbalances. Special whole-food diets may also be recommended as normal eating patterns are reintroduced - and will decrease the likelihood of imbalances coming back. Participants may expect 3-6 pounds of weight loss in the first week, then followed by regain as nutritional status improves. Clients already underweight need to make sure they compensate calorie needs. Usually by increasing the number of shakes, or by adding MCT oil or other elements to their shakes. Underweight individuals should be monitored to assure nutritional needs are being met. Find an online caloric need calculator that takes into account your activity level. Make sure that you stock up on enough elemental diet powder to last you for the full program, you do not want to undershoot your needs and discontinue your program early. Keep in mind that you also may begin a tapering program following the 14 days where you are supplementing 50%, (then 25% etc) of your calories before moving entirely to whole food. Since elemental powders are almost completely absorbed, expect bowel movements to become much less frequent. Bowel movements during an elemental diet are likely to be poorly formed, watery and loose. Green stool color is not out of the question either. If you experience intestinal discomfort, adding some water by itself in addition to your shakes may be helpful. Watery diarrhea may occur if you drink the shakes too fast. If you experience sticky stools or increasing discomfort - get evaluated for more extensive malabsorption issues or for advice as to potential alterations to your formula. 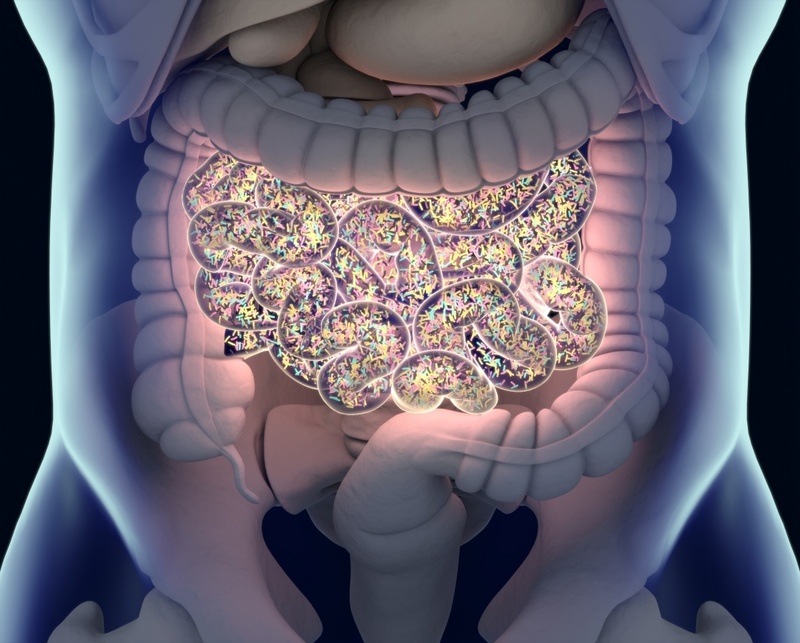 What Happens after a Gut Flora Reset? Elemental diets act as a complete reset to the gut flora, but in doing so, can reduce the level and diversity of gut flora. It starts with a drop in the unhealthy guys in the wrong places, but it can include some healthy guys too with longer protocols. So expect to take some natural antibiotics, probiotics, prebiotics, enzymes, and motility support on the way to a full gut reboot. Xifaxan/rifaximin may also be an option for you but I cannot counsel on its use. It is a prescription antibiotic that is special in that it works primarily in the gut. Generally, it is excellent at removing bad bacteria, but it still needs to be followed with a gut restoration protocol to maintain flora diversity in the gut. It is often recommended alongside a low-FODMAP food plan. Some research supports taking prebiotics while also on Xifaxan/rifaximin - the idea being that microbes are robust when fed by prebiotics and may be more completely susceptible to the antibiotic action. If you're not taking a prescription - a prebiotic may not be indicated until later in your gut reboot. Someone may also follow a prescription with a partial substitution (ex. 50%) of a elemental diet powder while they reintegrate a diet. Depending on medication alone may lead to higher instances of relapse (as well as possible development of antibiotic resistance). If someone reverts to the same diet that caused the imbalance in the first place, recurrence of overgrowth may (and will) occur in as little as a few days to few weeks. You are what your bacteria ferment! So you want them breaking down the right things - which usually means no processed foods, and limited grains and sugar! It is recommended to add and replenish diversity as tolerated. Be sure not to overlook enzyme, gut lining, and motility support! With many gut disorders, we don't know exactly what imbalances are present, and our means of testing are still too early in their infancy to trust. We just know that an imbalance is there. The actual strains of probiotics will vary between healthy and unhealthy individuals alike. It's the diversity of the strains throughout the small and large intestines that is important. A lack of diversity promotes gut problems. Restoring & maintaining diversity is the best means we know right now to establish balance in the flora. You do that through a mix of probiotic, prebiotic, and whole-food approaches. You want probiotics that make it through the acidic gut. And, you want to make sure that you're getting live organisms with your dose. This means a high dosage per strain ratio. It means quality control facilities. 3rd party testing on dosages. Dark-colored/opaque bottles. It means refrigerating your bottles. It means choosing brands that assure delivery of live bacteria past your stomach acid. I personally use Microbiome Labs and Master Supplements products for these reasons. You maintain probiotics like Lactobacilli & Bifidobacteria by supplementing with them foremost as needed, but also by consuming "prebiotics" from either supplements (usually to start in measured doses) and a diverse, plant-rich diet (ideal for supplying diverse prebiotics long-term). Spore probiotics, found naturally in soil, are also necessary probiotics for your gut. They are gut microbes that just happen use soil as their means of delivery. They can be supplemented long-term on a "3 days on, 7 days off" basis. Spore probiotics are NOT naturally maintained by prebiotic starches. They will still use the prebiotics to produce short-chain fatty acids like butyrate that provide us with enormous benefits - but their colonization is not maintained by them. Spore microbes colonize and leave the gut in 7-21 days, leaving again in spore-form. Bacillus spore bacteria have been clinically studied to help heal leaky gut, crowd out pathogens, produce valuable nutrients, and promote diversity of healthy probiotic strains. Unless your playing or working in dirt daily, you're likely deficient and can benefit from an affordable "3-days on, 7 days off" supplement schedule of spore probiotics. When you re-establish a normal food plan, you do want very diverse sources of fruits, vegetables, roots, and tubers to promote the widest variety of healthy microbes. This can be achieved with a non-processed, plant-rich, "Paleo"-style diet. Try new stuff, go to international sections of the grocery store. Get different colors and varieties of the things you already enjoy. Buy some cookbooks & learn to cook with diverse spices and herbs. Prep food, use slow-cookers & make smoothies. If you want an example of diversity, remember the rich findings from the Amazonian Yanomami tribe. Healthy guts are those with high number and diversity of bacteria in the gut - single-strain therapies can be helpful short-term but keep the big picture goals in mind. Eating too much of the same foods over and over invites sensitivities and imbalances. Too many simple grains and sugars will get you back in the same boat you started in as well. An elemental diet can be an excellent choice to hit the RESET Button and get your gut back on the right track so that you can maintain the changes with these strategies once and for all!